Two new Rick and Morty board games are in development at Cryptozoic, both based off popular episodes of the TV series. 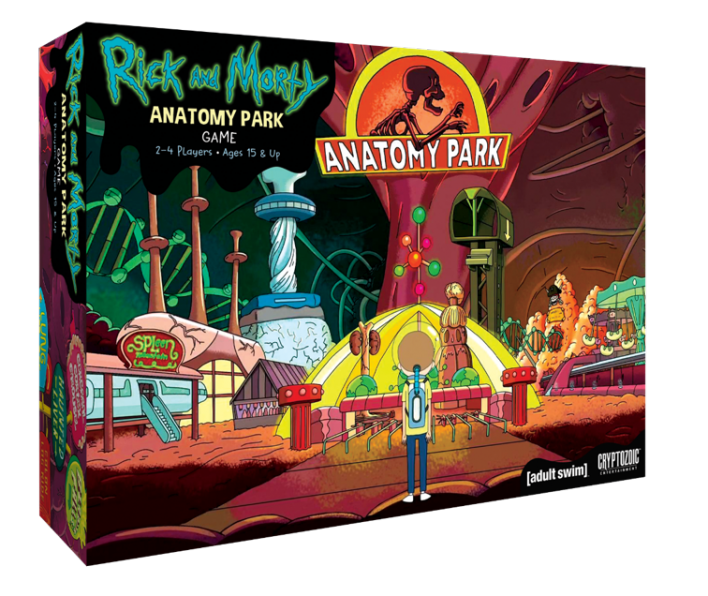 The games, called Rick and Morty: Anatomy Park Game and Rick and Morty: Close Rick-Counters of the Rick Kind Deck-Building Game, are available to see at this year's Toy Fair in New York, and are scheduled for release later this year. The first game, Rick and Morty: Anatomy Park is based on the first season episode where Morty gets shrunk down by Rick, and sent inside the body of a homeless man in a Santa suit. The game is a two to four player strategy game, with players laying tiles down to create the best amusement park possible. Seeing as how you happen to be inside a living body at the time, players will also have to fight off diseases and have to be cautious of shifting internal organs. Rick and Morty: Anatomy Park is scheduled to release on July 12. 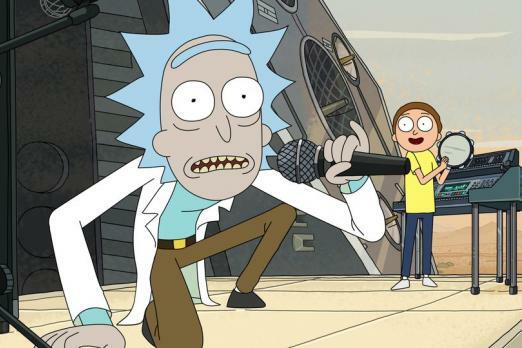 The second game, Rick and Morty: Close Rick-Counters of the Rick Kind, is based on the first season episode where Ricks from other dimensions accuse the Rick we all know and love with killing other Ricks. It's Ricks all the way down. The game is based on Cryptozoic's Cerberus deck-building engine, so those familiar with the DC Comics or Lord of the Rings deck-building games will know what's going on here. 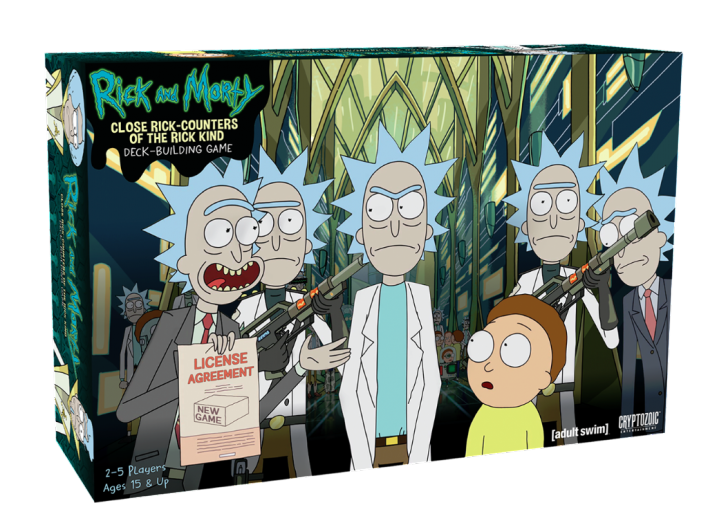 Rick and Morty: Close Rick-Counters of the Rick Kind doesn't have a formal release date yet, but is scheduled for the fourth quarter of 2017. So what do you think? Are you excited to try out the new Rick and Morty board games? What other episodes of the show do you think could make for a good game? Let us know your thoughts in the comments section below.